Given all of their strife over the past year, Carol thinks it’s time for WWE to bring a family back together–The Wyatt Family! Out of all the wrestling stables in recent years, The Wyatt Family stands out as one of the most intriguing groups. The trio consisting of Bray Wyatt, Luke Harper, and Erick Rowan made their main roster debut in the summer of 2013. From the moment they stepped into the ring, the stable piqued the interest of the WWE Universe. Bray Wyatt was perfect as the menacing cult leader, who preached about saving the world from darkness. Harper and Rowan excelled in their roles as Bray’s followers, doing whatever their leader commanded. The group grew bigger when Braun Strowman joined the stable, making them a force to be reckoned with. Yet, like many wrestling stables, The Wyatt Family soon disbanded. After their split, the four men have gone on to have decent singles careers with some ups and downs along the way. Braun Strowman has been the member to have the best career.He’s gone on to become one of WWE’s top guys and has competed in numerous matches for the Universal Championship. While he hasn’t won the coveted title yet, Strowman has won over fans, who are strong supporters of The Monster Among Men. Bray Wyatt also achieved a great amount of success by becoming WWE champion along with two-time tag team champion. As for Harper and Rowan, they’re run as singles competitors was a little rocky. But the two men would team up as The Bludgeon Brothers and became one of Smackdown’s top tag teams. Currently, all four men are out of action. Strowman, Harper, and Rowan are dealing with injuries. As for Bray, he hasn’t been seen since July when he and Matt Hardy lost the RAW tag titles. But in recent days, he’s been hinting at a return, promising a something different. While Bray hasn’t been on television in months, he did make an appearance during the Starrcade house show a few weeks ago, when he wrestled Baron Corbin. Bray’s involvement at Starrcade has led to speculation that he’ll be making his return at the upcoming TLC PPV during Braun and Corbin’s match. 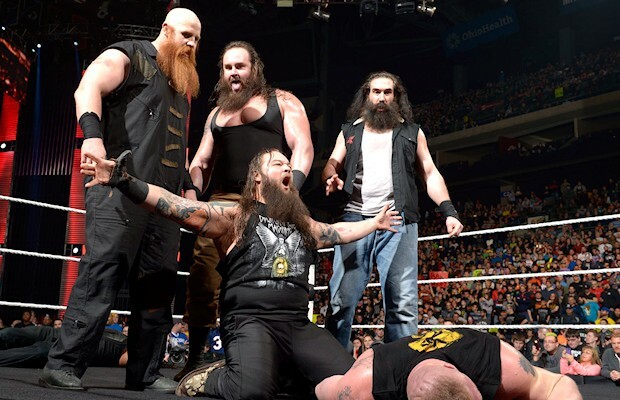 If Bray does return to help Braun, does that mean that a Wyatt Family reunion is in the works? It seems possible and to be honest this could be the best thing to happen to the group. As I stated earlier, the men have had ups and downs in their singles careers. Braun’s momentum has faltered since losing his Universal Championship match against Brock Lesnar. Bray has been just one of the many wrestlers who’ve suffered at the hands of WWE creative team. From a storyline point, you could have Bray come back to help Braun resurrect the monster that Strowman is. With Bray’s guidance, Braun could gain back some of the momentum he’s lost and become a dominant force among the roster. As for Harper and Rowan, they too could benefit from a Wyatt Family reunion. The two have struggled following the disbanding of the group.Yet, with them part of the stable again, they’ll be back in the spotlight as they take on their roles as Bray’s enforcers. There’s no telling what WWE has planned for Bray, but with Wyatt’s recent tweets and TLC coming up, it’s going to be interesting to see if The Eater of Worlds makes an appearance and sets up a Wyatt Family reunion. Are We Really Even Fans Anymore?